Relax … while these clinically-proven guided sleep meditation for kids help your sweetie pie relax and go to sleep… thinking happy thoughts… and wake up in a positive mood! Take the fuss out of naptime and bedtime. ‘The Swan and the Mermaid’ is truly a Miracle! My 20-month son NEVER used to nap unless he was in the car…. I played the ‘Swan and the Mermaid’ for him. He NEVER naps unless he is in the car or a fast-paced stroller. I played the CD while I held him, and he was asleep in 20 minutes! Now I put him in his crib and play the ‘Swan and The Mermaid’ at nap time. It is truly a great product! This can be useful for many applications, including helping kids fall asleep, ease their fears, and just to relax. It helps kids use their own strategies, such as a “special friend” or a stuffed animal, to help them. I use this in my practice with kids and it is very helpful! 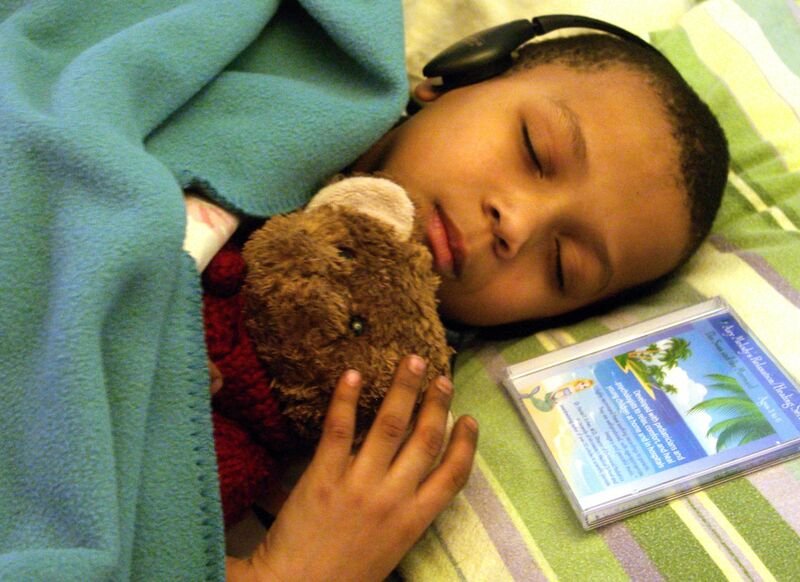 These highly-acclaimed guided sleep meditation for kids feature a variety of relaxation techniques clinically proven to help children in this age group relax, fall asleep, and accelerate healing. They also teach children techniques to minimize anxiety. Each story is set to peaceful background music with chimes, strings, flutes, and waves. These techniques diminish anxiety and are helpful for children with separation anxiety, whether it is due to a new school.. hospitalization… or just a normal phase that some sensitive children go through. A soothing bedtime (or naptime) story uses clinically-proven techniques to help kids relax and fall asleep safely and easily. Story-telling techniques clinically proven for this age group are woven into this charming story. A guided meditation story for preschoolers and kindergartners helps your preschooler unwind and fall asleep at bedtime/nap-time… while teaching her techniques to ‘feel brave’ in scary situations… such as medical treatment… starting a new preschool… or separation anxiety. In these stories, your child enjoys a soothing adventure with a relaxing, trusted, friend. They also teach children techniques she can use during the day… when she is apprehensive or undergoing a medical procedure. 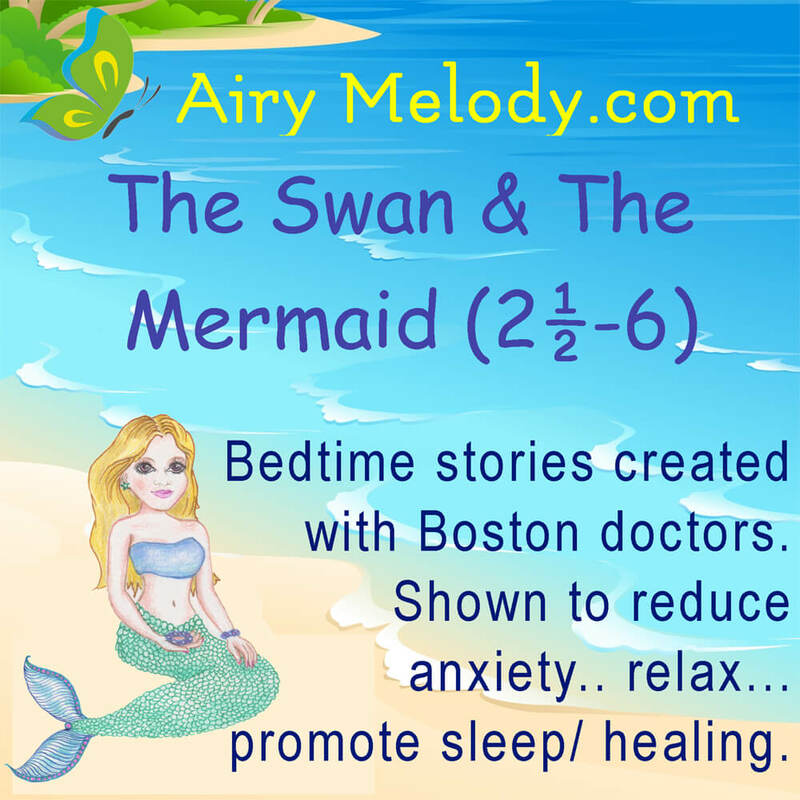 A soothing guided sleep mediation for kids bedtime (or naptime). This guided sleep-meditation story uses clinically-proven techniques to help kids relax and fall asleep safely and easily. Story-telling techniques clinically proven for this age group are woven into this charming story. 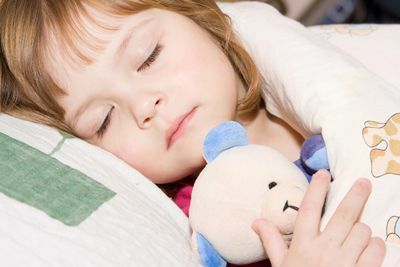 A soothing sleep mediation for preschoolers and kindergartners helps your preschooler unwind and fall asleep at bedtime/nap-time… while teaching her techniques to ‘feel brave’ in scary situations… such as medical treatment… starting a new preschool… or separation anxiety. This is helpful for autistic children, and has been carefully edited by hospital experts to make it appropriate for hospital use. Children in hospitals are sensitive to some types of imagery. But no need to worry… with the help of our hospital experts we made sure there is nothing inappropriate for medical use! This best-selling highly-acclaimed product features two guided-meditation bedtime stories created with experts at Dana Farber Institute Boston. These soothing stories are set to peaceful background music. Do not refer to it as a nap… instead it is a quiet time. Explain that even adults and super-heroes need quiet times! Even when your child gets older, she will still benefit from having a quiet time in which she practices calming mind-body techniques that help her feel self assured and more in charge of her environment. This is especially true for children who suffer from separation anxiety, which is not an uncommon stage for children to go through. Be creative, even something as simple as a using a beach towel or headphones to designate a super-hero-recharging station can make quiet time ( NOT nap time) more alluring. Preview these audio bedtime stories before your child listens to it… or listen to them with her the first time she listens to it. These stories use slightly different narrative techniques. Some children may prefer one story over the other… and their preferences may change. Use this as ‘quiet-time’ aid during the day…even after your child stops taking a ‘nap’. Become familiar with these techniques… so that you can remind your child to use them. For example… remind your child to put on his magic bracelet… that helps him feel brave… during a medical procedure… or on his first day of preschool. Play this for your child during longer medical procedures.. such as visits to the dentist… or cancer treatments. Start playing this several weeks before starting a new school… moving.. surgery.. or telling your child about a divorce. Use this to make bedtimes and nap-times easier at hotels… Grandma’s house… or hospitals. If your child has an older sibling,ask the older child to listen to this too. This helps the younger child AND the older child… who feels that he is helping his younger sibling.This is particularity helpful when your younger child is sick… remember this is stressful for siblings and they will feel reassured if you find simple ways for them to help. Explain the techniques your child is learning to daycare workers, doctors, nurses, and relatives. Remember that all of the ‘options’ given to your child may sound silly to you… but this non-directive technique is important for children in certain stages of development.